The lobby at Montaje in Assembly Row in Somerville. It’s hard to believe it’s been four years since Somerville’s Assembly Row opened its doors. The shopping and lifestyle complex has been under constant construction since its start, and Federal Realty’s general manager, Matt Ehrie, promises there’s much more in store. But this summer, the complex will mark the completion of phase two of its buildout — a mix that includes new stores, restaurants, and a doubling of the number of apartments. 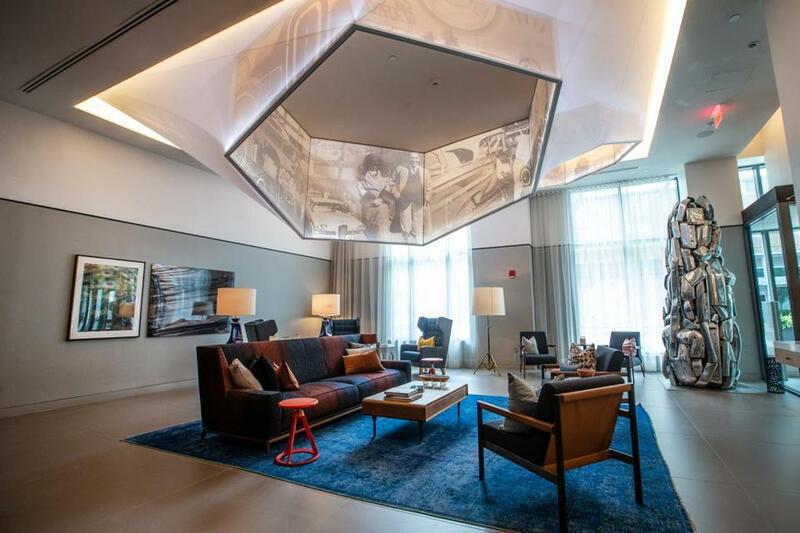 The 158-room The Row, an Autograph Collection hotel from Marriott, is scheduled to open in August. The hotel will feature a yet-to-be-announced anchor restaurant on its ground floor. “Phase two has really started to round out the offer,” says Ehrie, whose company owns and manages the builtout of the complex. That’s real estate speak for hitting critical mass, making Assembly Row feel more like a destination. Adding to the neighborhood vibe are essentials like the convenience store in the Partners HealthCare building, and the primary care and dentist offices that will operate out of the ground floor of the Montaje apartments. 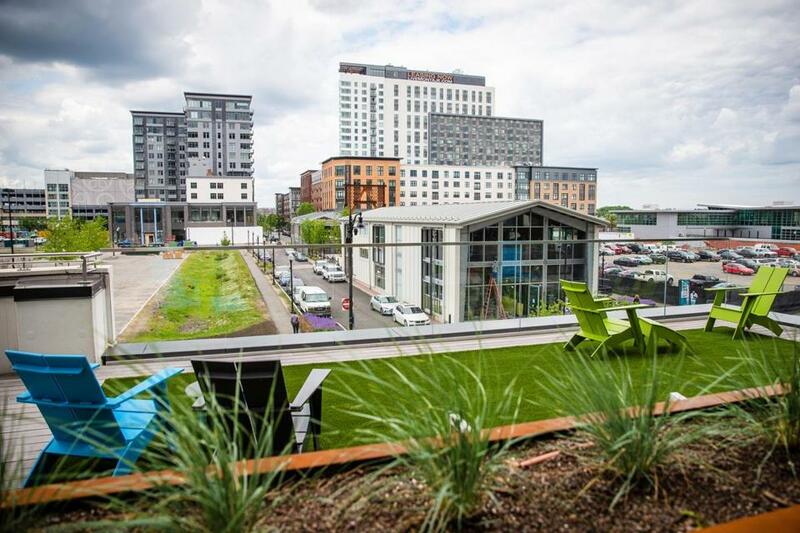 The view of newly developed buildings from a roof deck patio on Fit Row at Assembly Row in Somerville. The addition of more dining-out options also ups the ante for both guests and residents. In December, Somerville Brewing Company’s longstanding beer garden opened its brick-and-mortar gastrobrewery, American Fresh Brewhouse. MidiCi Neapolitan Pizzeria opened in February and is now offering sit-down service. And bowling and games hub Lucky Strike Social was up and rolling as of April. Up next: chef Andy Husbands will open the third outpost of The Smoke Shop BBQ in July. The stores that are part of the second phase are actually skewing away from Assembly Row’s official outlet concept. Both Bath & Body Works and DAVIDsTEA aren’t dealing in discounts, and neither is Setting the Space, a Plymouth-based interior design and home staging business that just opened its seventh showroom in the complex. 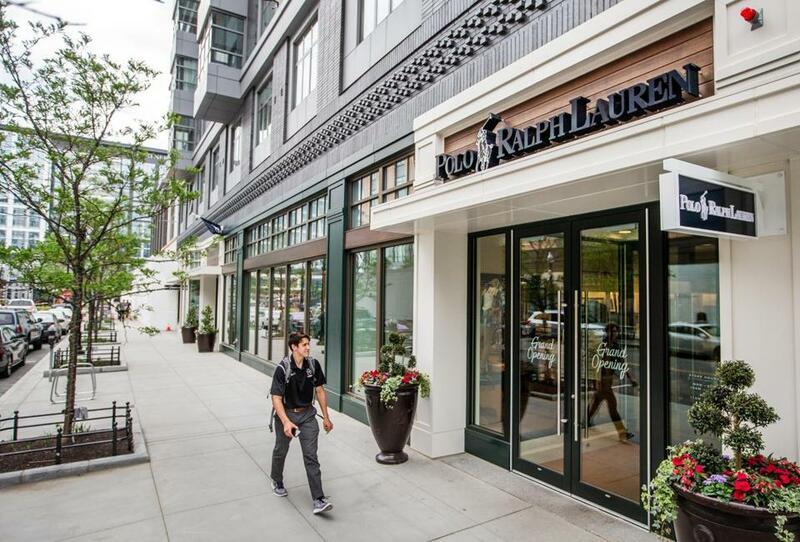 Even the 10,000-square-foot Polo Ralph Lauren factory store, which opened last month, dodges the discount moniker. Wandering through rows of pricey paint-splattered jeans and Hawaiian print polos on a recent day, it was hard to even discern that deals were what they had in mind. Lucky Strike at Assembly Row in Somerville. And perhaps that’s the point. Outlets are a draw for visitors, but Federal Realty realizes that amenities are bound to attract more residents and office tenants. With plans to break ground on 1.6 million more square feet of office space, and an additional residential building on the way, that’s the ultimate goal. “We’re focusing on making it feel like a neighborhood,” Ehrie said. The Polo Ralph Lauren store front at Assembly Row in Somerville. 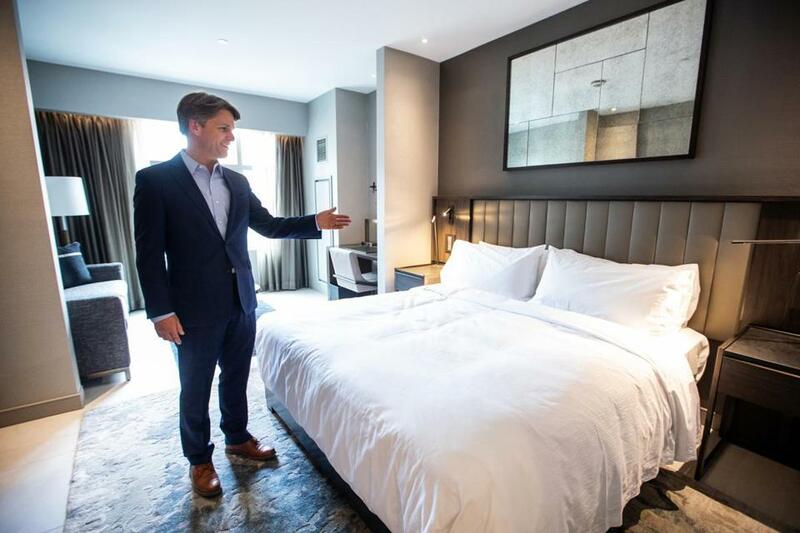 General Manager Michael O'Shaughnessy gave the globe an exclusive look at a room at The Row Hotel at Assembly Row in Somerville.